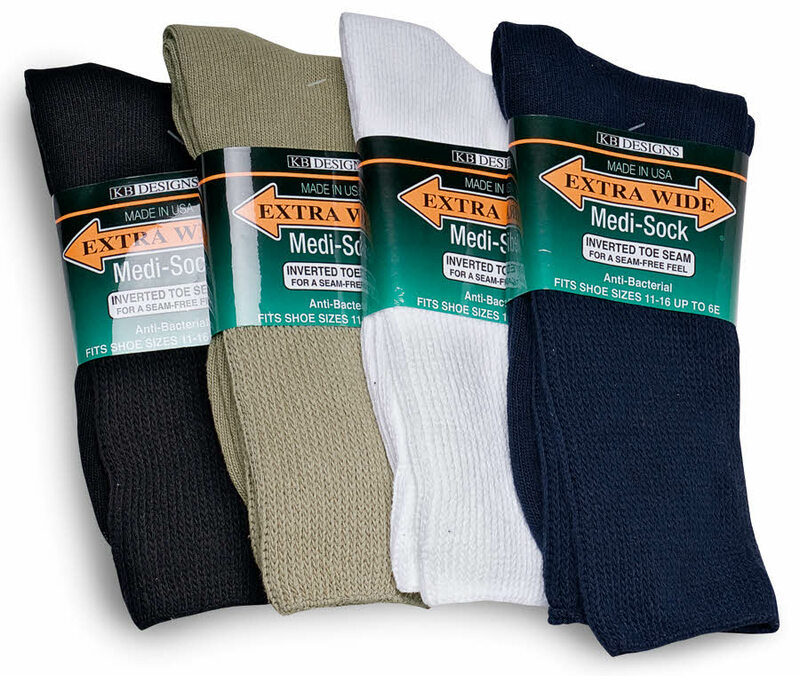 Medi-Socks are non-constricting with superior stretch -- equally wide at foot, ankle and calf, which makes them ideal for people with edema. 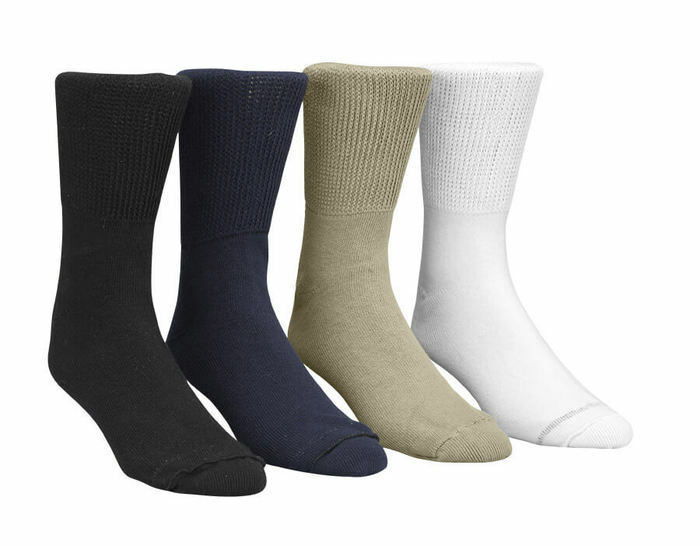 They have a smoother toe seam, are anti-bacterial. Made in U.S.A. Sizes R (for shoe sizes 8–11) and XL (for sizes 11–16).